We’re big fans of Ensoniq: the ESQ-1 and SQ-80 combine a lovely early-digital tone with a simplicity of programming that leaves most other 80s digisynths in the shade. Add in that big vacuum-fluorescent display and a ton of context-sensitive soft buttons, and you’ve got something that’s fun to play, fun to program and sounds fantastic. 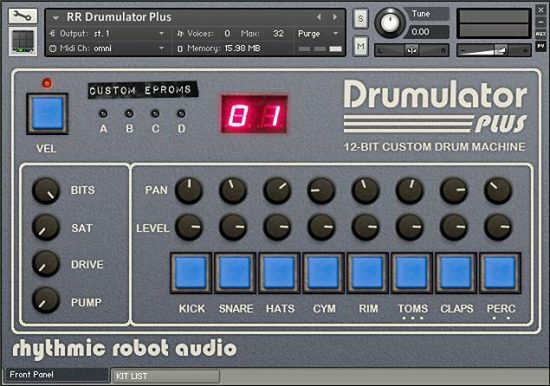 A little known detail, though, is that buried in the digital depths of the machines is a full set of rather good drum samples, and those are what we’ve dug out for you in SQ Drums. Part of the attraction of this drum set is that they’re naturally mapped across large portions of the keyrange, so there’s a wide pitch variation for each kit piece; play the kick really low, and you get an awesome subterranean thump. Play the toms really high, and you get little plicky-plucky staccato tones to sequence. We’ve carefully preserved all that by simply sampling every single note across the SQ-80’s full range. 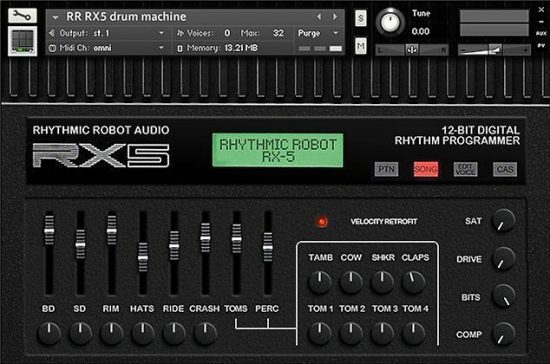 The samples are grainy, and the transposition brings in all kinds of wonderful digital aliasing effects; downpitching things sounds particularly cool to our ears. The sounds themselves are on the ‘punchy and aggressive’ end of the spectrum, though of course you can switch in Velocity Sensitivity to make them more responsive and tame them a bit! And just to add some extra flavour, you can switch between clean samples and ones that we’ve run through our Aurora Audio Stinger, dialled up to get some serious Class-A analogue grunt going. This adds a whole new dimension to the original sound. The usual effects, pan and level controls round things out, resulting in a neat slice of low-bit-depth attitude perfect for more in-your-face production styles. Enjoy! (All our Kontakt instruments require a full copy of Native Instruments Kontakt v4.2.3 or higher (including all versions of Kontakt 5). Kontakt Player is not supported: instruments will load, but will time out after 15 minutes. See the FAQ for further information.) You can read more about the original SQ-80 here. RR SQ Drums is fantastic. In particular, the sheer number of samples, spread all up and down the keyboard, is like opening your pantry and finding an alternate pocket dimension there. 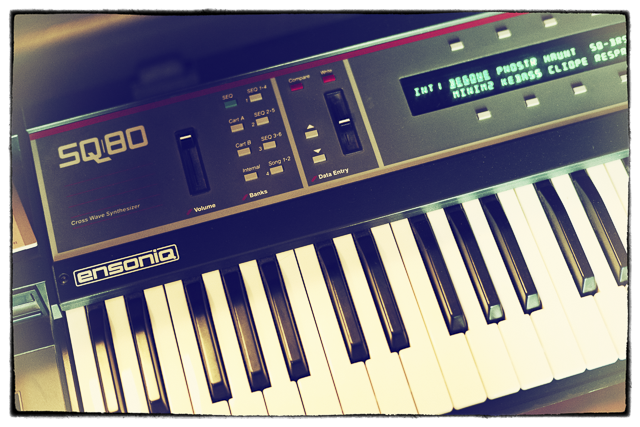 Beyond that, the sounds are (though crispy in an early digital way, as advertised), fairly uncommon for the 80s sound from which this instrument’s larger synth arose. But absolutely crucial! When I heard the demo, it instantly conjured in my mind the potential to build a track that is a bit like the Miami Vice theme crossed with Peter Gabriel’s Security album. It’s those rolling hollow cascading drums! 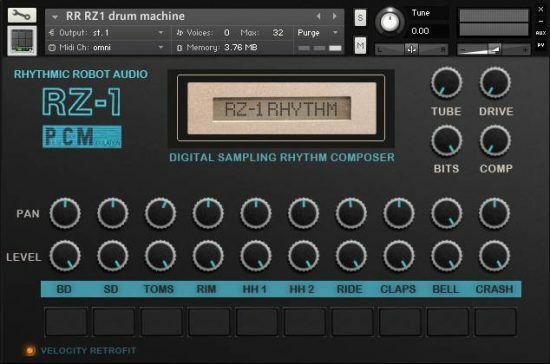 One thing I have come to love about RR instruments since discovering them (not long ago) is that each and every one of them suggests potential and possibilities. That’s why I’m so very fond of the ones that integrate glitch: Once you see potential, the possibilities are so limitless that time in which to uncover them becomes your only constraint. I may never have the time to explore SQ Drums full potential, but I’m glad I’ve had the time to discover it, and dream of having the time. These drums are heavy! The kick and snare have an insaaane amount of punch to them and the toms really are something else <3. Perfect for industrial or EBM stuff! 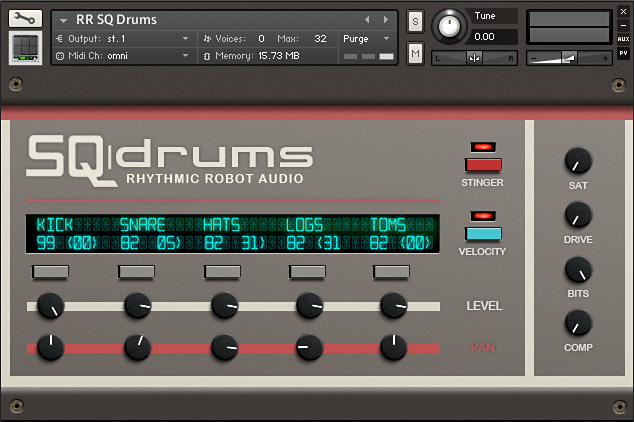 Sound, solid drum set – Stinger saturation saves a lot of FX and EQ work, too. Very good hip-hop bottom line; recommended.